Transworld has won a multi-publisher auction for Save Money Lose Weight, a tie-in to the ITV programme of the same name. The book will be written by series co-host Dr Ranj Singh, and will contain 80 budget-conscious, calorie-counted family recipes, as well as meal planners, shopping lists, exercise advice and diet myth busters. 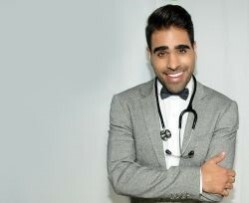 Dr Ranj is This Morning's resident doctor, appeared on Strictly Come Dancing, and has won two BAFTA awards for his children's show. Michelle Signore, editorial director, bought world rights in the book from Shirley Patton, head of publishing at ITV Studios Global Entertainment. Transworld will publish Save Money Lose Weight on the Bantam Press list on 2 May. Signore said: "Right from the word go we knew that this book has what it takes to become a bestseller and I am thrilled to be publishing it. So many of us crave reliable information about how to eat healthily while keeping an eye on the costs as well as the calories - and this book covers it all. It's a dream come true for us to be working with Dr Ranj, whose voice of friendly authority makes this an indispensable, accessible read." Dr Ranj Singh said: "Being a doctor for 15 years has taught me that, no matter what the issue, people want advice that is honest, effective and realistic. From personal and professional experience, I know just how difficult dieting can be. So when it came to writing this book, I had a clear goal in mind: to create something that didn't just help people to manage their weight, but did it in a way that was affordable, achievable and easy to follow. It had to work with the demands of daily life and not involve spending lots of money. It's designed to help anyone start their journey to a healthier lifestyle - one that they can maintain, and even enjoy, without it breaking the bank. Hopefully it will help you lose those extra pounds from your waistline, and not your wallet!"